In honor of Grandmaster Ip Man's 121st birthday today, I'm posting the full movie of Donnie Yen's Ip Man 1. In Cantonese, no subtitles. Grandmaster Ip would've been today. 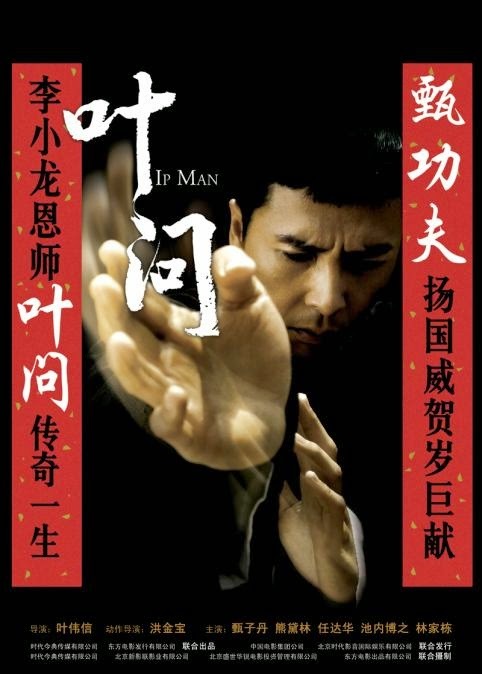 Ip Man is a 2008 Hong Kong semi biographical martial arts film very loosely based on the life of Yip Man, a grandmaster of the martial art Wing Chun and master of Bruce Lee. The film focuses on events in Ip's life that supposedly took place in the city of Foshan during the Sino-Japanese War. The film was directed by Wilson Yip, and stars Donnie Yen as Ip Man, with martial arts choreography by Sammo Hung. The supporting cast includes Simon Yam, Lynn Hung, Lam Ka-tung, Xing Yu and Hiroyuki Ikeuchi. With English subtitles, although my country is restricted from viewing this video. Posting for the readers who can view it. BIRTHDAY: Today would've been 120th birthday of Ip Man!